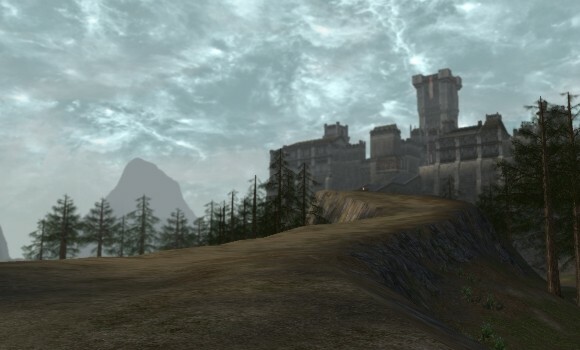 We're down to the wire for Lineage II's Choose My Adventure, with one more week to go. My Abyss Walker quickly rushed to the 40s, at which point leveling has slowed down considerably. I've talked about pets, explored (only a fraction of) the countryside, and touched on crafting and other features. What else could we possibly talk about? I haven't really shared a lot of my experiences with my character class or how the class-transfers and skills affect my overall enjoyment of Lineage II. My third class-transfer is set in stone thanks to your poll choices and the game mechanics; now that I'm an Abyss Walker, I'm locked-in to become a Ghost Hunter, which makes sense. Ghost Hunter is melee, like my Abyss Walker. I can't really jump ship at this point and go ranged. So let's look a little more at my character, what the future could hold for him in terms of more class-transfers, and my opinions on non-situational combat and how that makes the game feel to me. I don't want to fill up this article with a bunch of negative vibes, and this minor caveat of mine does have a happy ending, but let me get one thing off my chest: I've participated in a couple of Kamalokas, and they've been extremely boring. Both instances forced me to stand around looking for a group. After the group was organized, the Kamaloka was nothing more than one room with a baddie in the middle. I've shared my preference for what I call situational combat in the past, and this is a prime example of non-situational combat. My party members and I attacked and defeated the boss after a good five minutes of doing a lot of just staring at a screen. Attacking is basically automatic with some simple rotations thrown in to help speed up the process. The rotations weren't life changing, necessary, or reactive to any changes in the situation. We clicked and stared at the screen. One party member and I joked about going and doing something else while we waited. Another member didn't see what we were talking about because she told us she actually went to the restroom and fixed herself a sandwich while we were fighting -- and she was the only healer in the group. If the mid-level Kamalokas are indicative of the other instances up to level-cap, I don't think I'll be participating unless they include a quest objective. The silver lining is that there is a ton of PvP gameplay that's determined by interaction with other players. I absolutely love what Lineage II has been dishing up, but the stubborn old fool in me dislikes the core of the way players interact with the world. It really is a great game all-around. 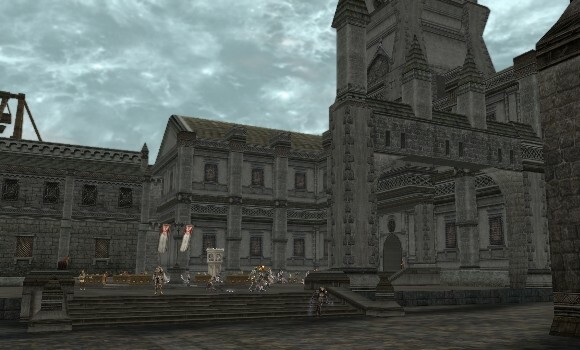 The one thing I need to understand is that I likely won't find my holy grail of MMOs anytime soon, so I should enjoy what Lineage II does have to offer. I could continue to bemoan the way we interact with all mobs and players and how that intrinsically affects the whole game for me, but it's a fundamentally different MMO that was built the way it was from the ground up. 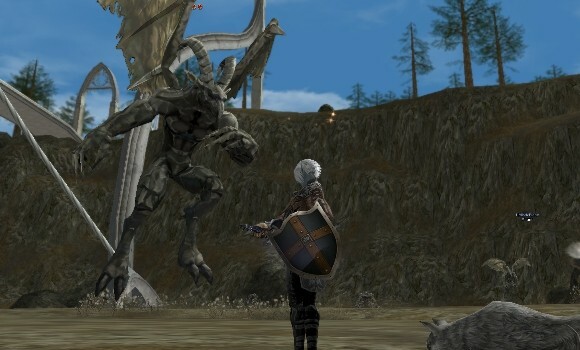 Just as Lineage II is a second incarnation of the series (in part because Lineage was so popular), Lineage Eternal is on its way because the second game has proven so popular. I'm not one to spit in the face of that success. It's a different game, spawned of a different culture. And one of the key differences is the class-transfer system. Class-transfers are important for a character's growth. I feel they offer additional progression rewards. You basically ding into a new class that unlocks new spells and abilities. Transfers add those medium-sized rewards that fall in-between gaining spell-points to upgrade current abilities and reaching major milestones like level-cap or hitting the level requirement for participation in PvP events. Lineage II offers a wealth of abilities, class-transfers (including the newest ones added with the recent Goddess of Destruction expansion), and choices on what core skills I choose to upgrade. I do really like the plethora of skills. I've obviously been staying away from long-range, archer-oriented attacks and concentrating on close-range melee suited for an Abyss Walker, but I still have choices. As someone who loves damage-over-time, I've been quite happy with my sting attack followed by spamming deadly blow for the majority of mobs. I don't yet know whether it was the wisest choice, but I've held on to poison from my Assassin class-transfer. I'm just a sucker for DoTs. I've chosen but a pittance of all the skills a player could use to flesh out a particular build, and I'm sure there are preferred builds, but I don't see any glaring mistakes that could be made. There are skills that are obviously suited for ranged or melee, and I am definitely on a melee path, but I don't think I'd be ruined if I did choose from among the ranged skills. There are just so many skills altogether. I've stayed away from sneakier enemy-augmenting skills so far. Backstab, Shadow Step and Freezing Strike are among the skills that appear primed for PvP conflicts. PvE and PvP could be a large determining factor in how you build your skills, but Lineage II is so very heavy on PvP action that I definitely would recommend getting involved in it. That brings me to the close of another week. Finding a clan and mentor and getting into more group content has proven a game unto itself, but I have a plan: beg. My character is HolisticBlade on Magmeld. I've had some truly awesome comments from Lineage II veterans over the past few weeks, and I'd basically like to take advantage of you. I'd love to finish off this CMA with a bang, so I'm not particularly picky about what clan I get into or who my mentor is. The important thing is that I give you something you want to read and watch. Jeremy Stratton needs more MMOs to play. Seriously. The imaginary doctor who lives in his head gave him a prescription. The problem is, he's too flighty. He never knows just what MMO to try or how long to stick with it in order to get the most of it. That's why he needs you to tell him what game to play and how to play it every Wednesday in Choose My Adventure!